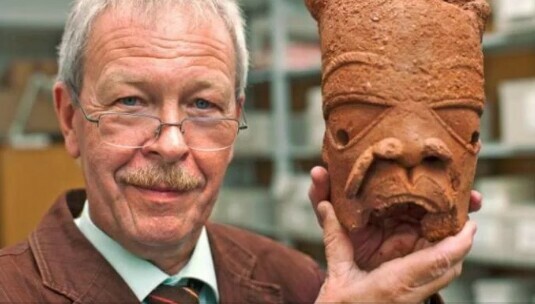 Kaduna State Government on Sunday commended security operatives for securing the release of abducted German archaeologists, Professor Peter Breunij, and his research assistant, Johannes Buringer after 96 hours in kidnappers’ hell. They regained freedom late Saturday at a place not far from the spot where they were abdubted. Police source said, the Germans always have security men attached to them each time they are on research in Nigeria but they sometimes don’t want the security around probably not wanting them to know about their discovery at nok site. The archaelogists, who have been working in Kaduna for about ten years were abducted on Wednesday by unknown gunmen at Jenjela village in Kagarko local government of Kaduna State on searching for atifacts in the community. The Police Spokesman in the state said that, the special forces are still on the trail of the kidnappers, vowed that they will be arrested as soon as possible and made to face the law. “Like I said, our utmost priority as a responsive Police Force is to rescue the abducted Germans as possible and we have successfully done that through collaborative efforts of security operatives. We are on the trail of the kidnappers and we will get them arrested and made them face the full wrath of the law”, PPRO said.